Q. 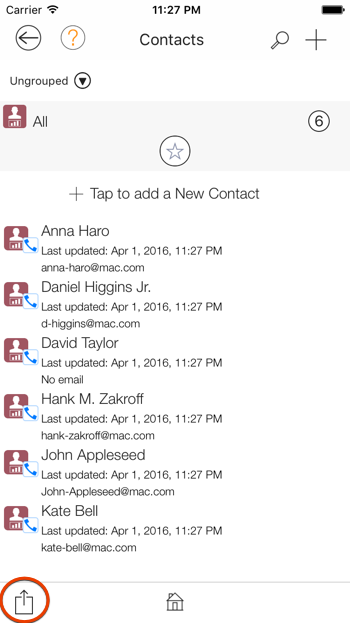 How do send bulk email to contacts? You are here: Home / Q. 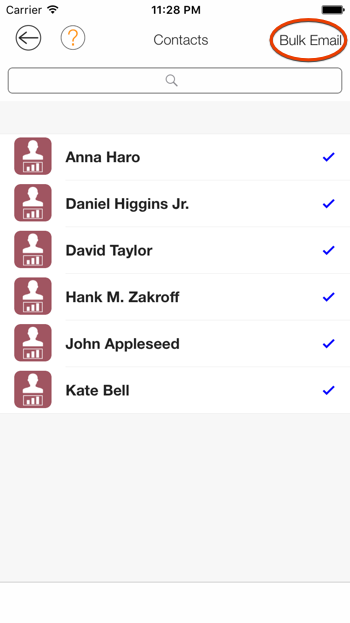 How do send bulk email to contacts? 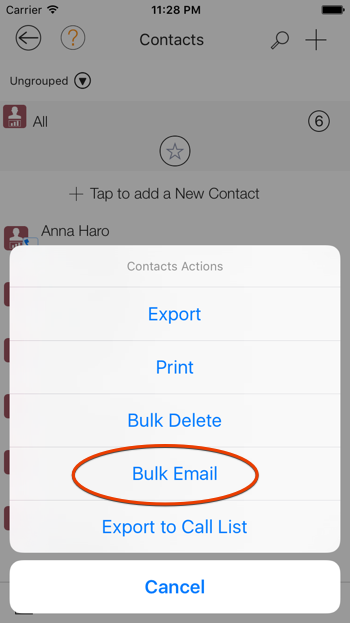 You can now send bulk email to contacts by following the steps below. 1. From the dashboard tap on the “Contacts” tile from the “Contacts” dashboard card. 2. From the “Contacts” accordion view tap on the action button located at the bottom left of the screen. 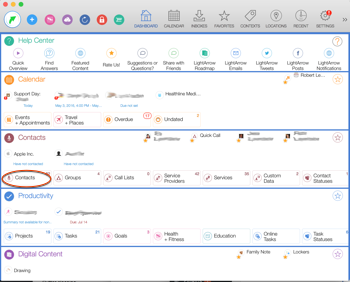 Click on “Click to select bulk action” located at the bottom center of the screen. 3. 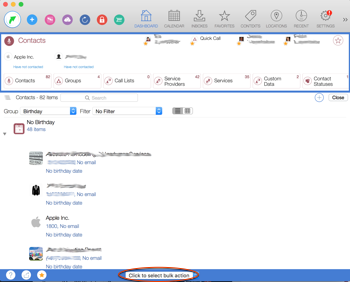 Select “Bulk Email” from the options presented. 4. 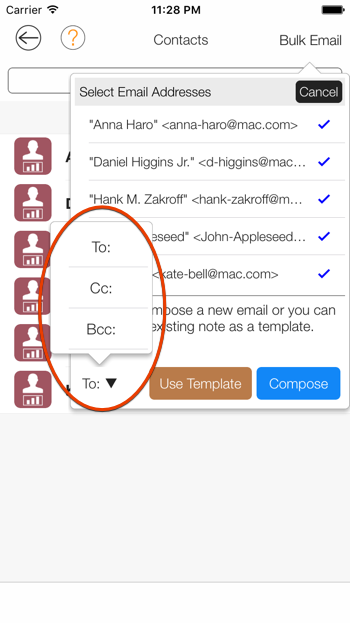 Select the contacts to include in the bulk email and tap on the “Bulk Email” button. 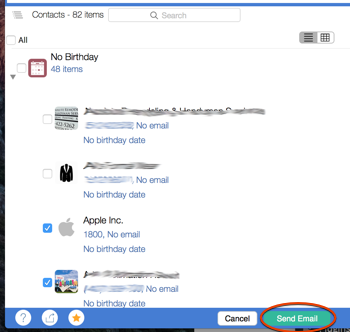 Select the contacts to include in the bulk email and click the “Send Email” button. 5. 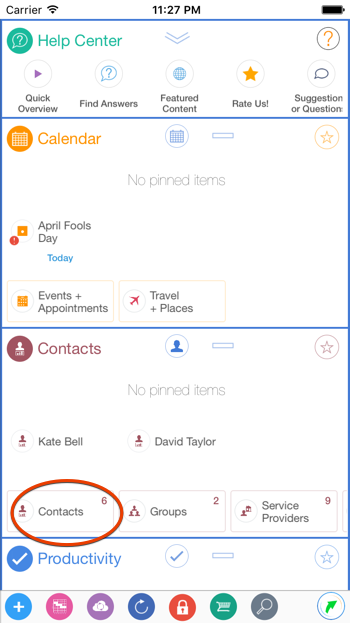 If you decide to remove contacts you can do so by tapping on the contact email which will toggle the selection/deselection action. Tap in the “To:” to choose between “To”, “Bcc” & “CC”. 6. Tap the “Compose” button to compose the body the of the email yourself. 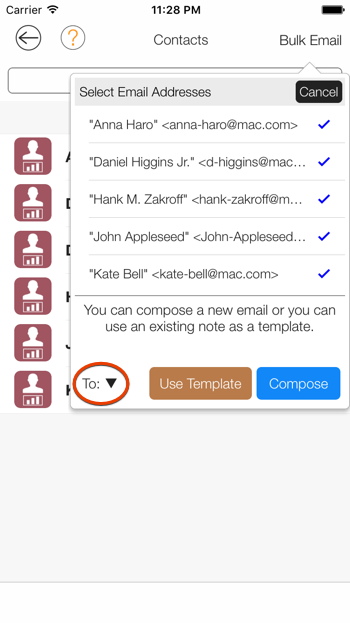 Tap on the “Use Template” button to select an existing note to be used as the body of the emaill. 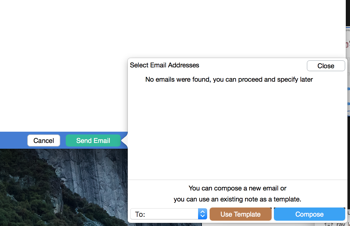 You can edit the body of the email before you send it.